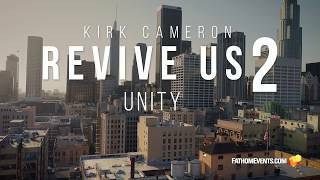 Following the remarkable success of last year’s REVIVE US, Kirk Cameron returns to the big screen with REVIVE US 2 - A National Family Meeting for the family of faith. With political, racial, economic, and religious tensions increasing each day in ... show all America, Kirk explores UNITY and the path on how to get there. 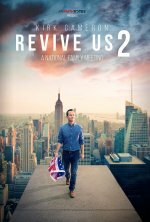 REVIVE US 2 offers a faith-filled solution for everyone. Join Kirk and his inspirational friends such as Dr. Ben Carson, filmmakers Alex and Stephen Kendrick (Fireproof, War Room), Joni Eareckson Tada, Ravi Zacharias, musical guests including Zach Williams, and other special guests for a night of strength, courage and unity.